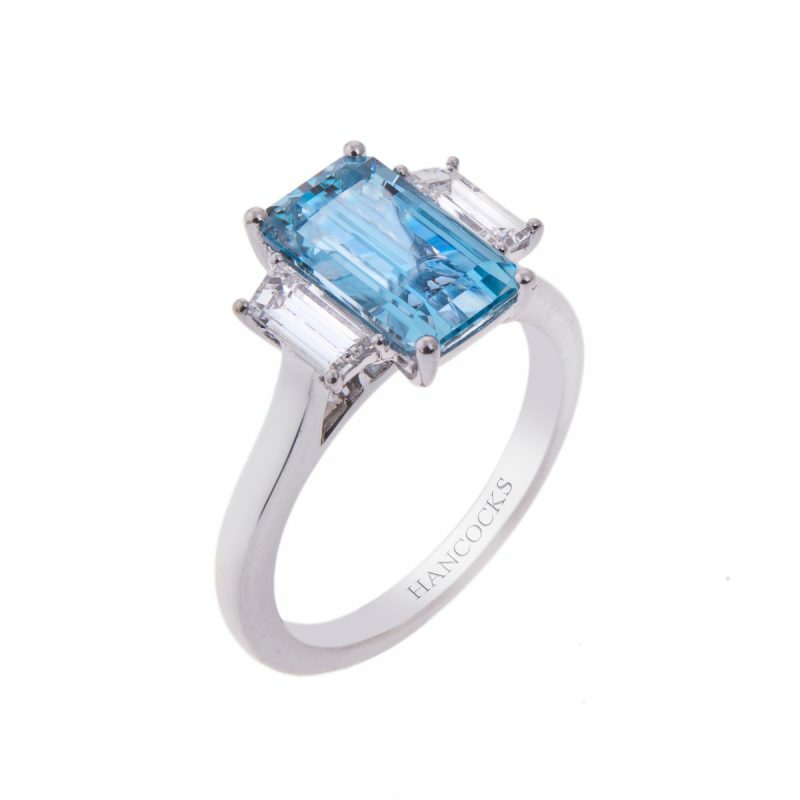 This alluring marquise cut aquamarine centrepiece, is framed with sparkling brilliant cut diamonds in a halo setting. 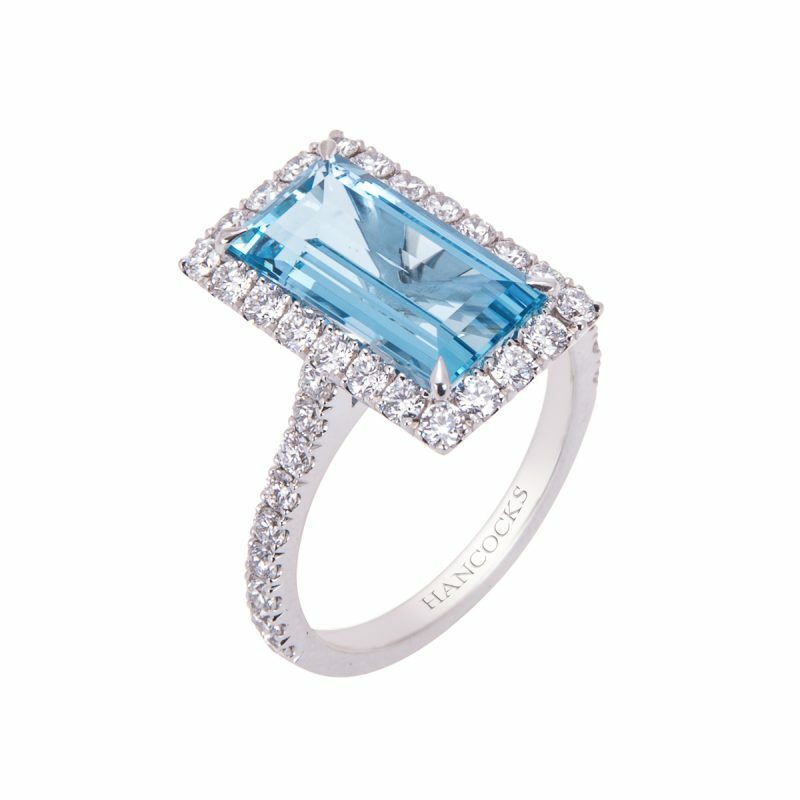 All mounted in an 18ct white gold claw setting with diamond set shoulders. 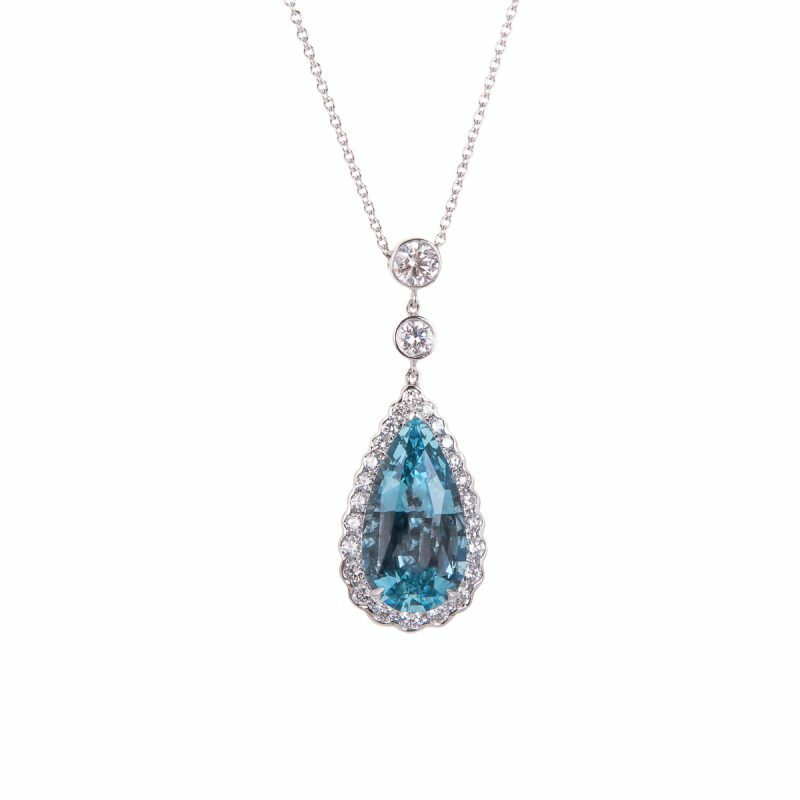 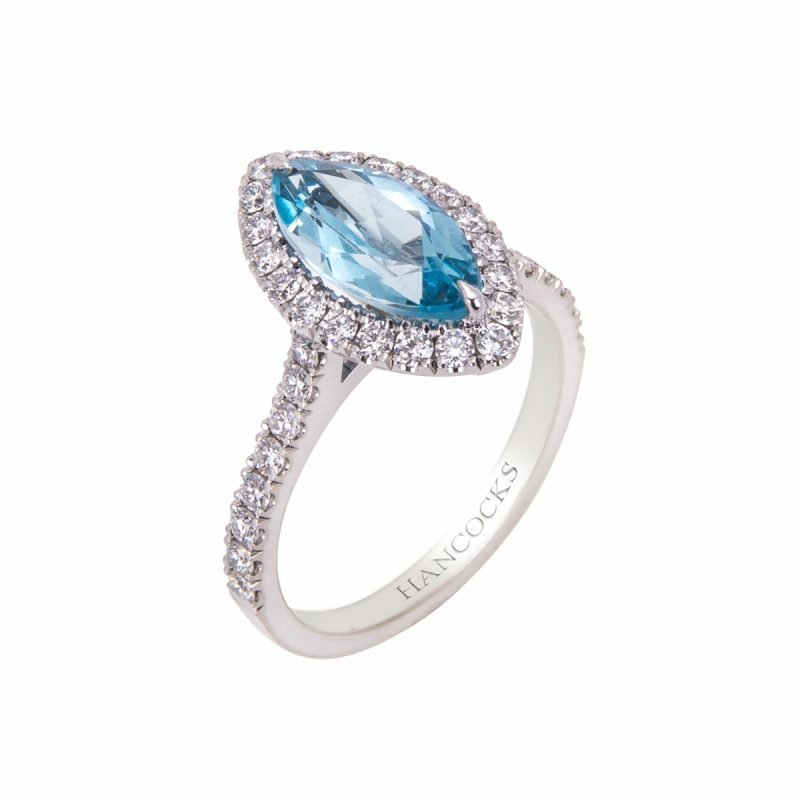 Aquamarine’s name comes from the Latin for seawater and it was said to calm the waves and keep all sailors safe at sea.